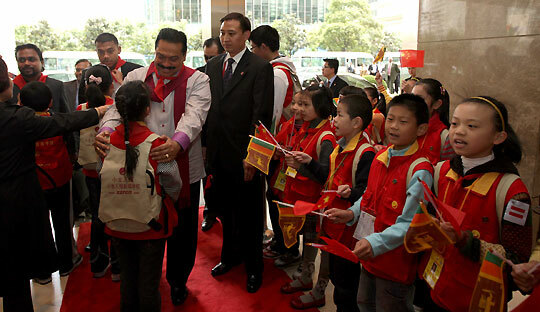 Sri Lanka’s President Mahinda Rajapaksa arrived in Shanghai, China, on Saturday, 30 October, to attend the closing ceremony of the Expo 2010 trade Exhibition. Over 70 million visitors had attended this impressive event during the 180 days in which it took place in Shanghai. 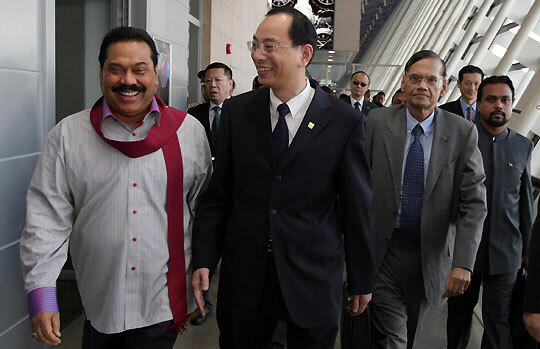 On his arrival at the Shanghai Pudong International Airport,President Rajapakse was warmly received by Mr Chai Wei, Vice-Chairman of the Chinese Advisory Board of the CPPCC Shanghai Committee. 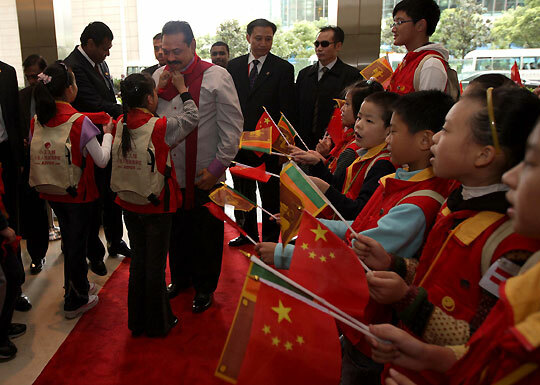 Later, the President and the Sri Lankan delegation accompanying him were enthusiastically greeted by the Chinese students of the city at the Shangri-La Hotel in Shanghai where they will stay for the duration of their visit. 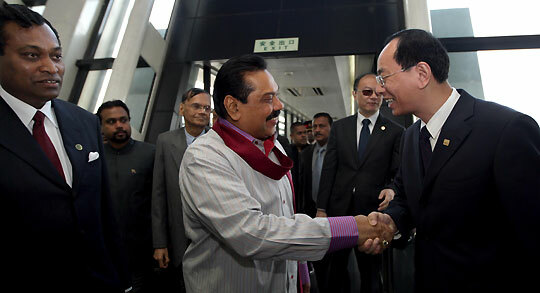 President Rajapaksa is also expected to meet Chinese leaders for bilateral discussions during his two days official visit. The President was accompanied by Ministers G L Peiris and Wimal Weerawansa, and by Sajin Vas Gunawardena MP, and the Secretary to the President, Mr Lalith Weeratunga. Mr Karunathilake Amunugama, Sri Lanka’s Ambassador to China, and several civic officials of the City of Shanghai were also present to receive the party.